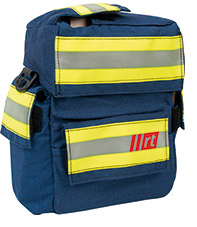 Since 1997 rescue-tec has developed and produced holster, bags and backpacks. Meanwhile a large collection for firefighting operations exits. If you are not sure which is the right product for you, we send samples to check to organisations, companies and authorities. An individual solution is also possible. We have got our own prototype production in Runkel and it is possible to develop a prototype of your product idea within 2-3 weeks.